We have one of these and I had it in the donation box. EEK! 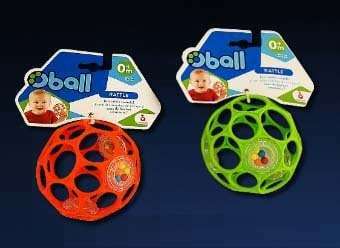 The Consumer Products Safety Commission announces that Kids II has RECALLED Oball Rattles Due to Choking Hazard. The full recall affects about 680,000 rattles sold nationwide at Target, Walgreens and Walmart, as well as online at several retailers, between January 2016 and February 2017. 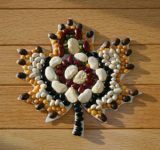 The clear plastic disc on the outside of the ball can break, releasing small beads, posing a choking hazard to young children. 42 reports in the US have been made. The recalled rattles are four-inch-wide pink, blue, green and orange balls with about two dozen finger holes and clear plastic discs that contain beads. They can be identified by model number 81031, but only rattles with certain date codes — T0486, T1456, T2316, T2856 and T3065 — are included in the recall. The date codes can be found on a small triangle on the inner surface of the rattle.